I'm expanding into more games and fun stuff! Get all you need to play each of these games right in the book! Cut out and play with all the cards, dice, boards, and game pieces you need. 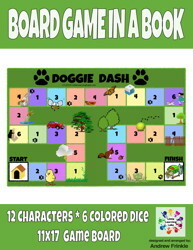 Use basic math skills like addition and subtraction to move across the dog-themed game board! All the rules to play! 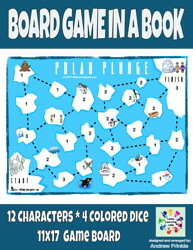 Use basic math skills like addition and subtraction to move across the arctic-themed game board! 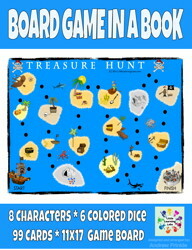 Use basic math skills like addition and subtraction to move across the pirate-themed game board! Collect treasure as you move across the pirate isles and be the first one to Pirate City. 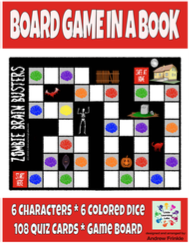 This is a zombie-themed quiz game! Put anything you want on the backs of the quiz cards. 108 blank quiz cards in 6 different colors for different categories.